If you struggle with hearing loss or visual impairment, the Ampli Power 60 Extra Loud Phone is the answer to all of your prayers. Featuring receiving volume control up to 67 dB, this phone with speakerphone is hands-free and has a new telephone speaker. The new telephone speaker offers clearer reception. Featuring an extra bright visual strobe, the phone with speakerphone has three emergency and nine direct easy to use memories. 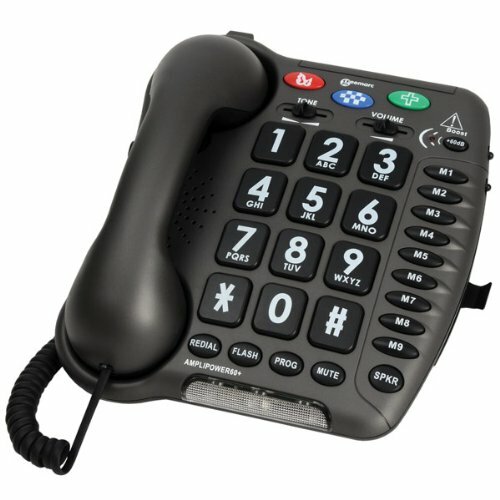 If you have a hearing aid, this telephone is compatible with that. You also have the option to adjust the ringer level and tone. 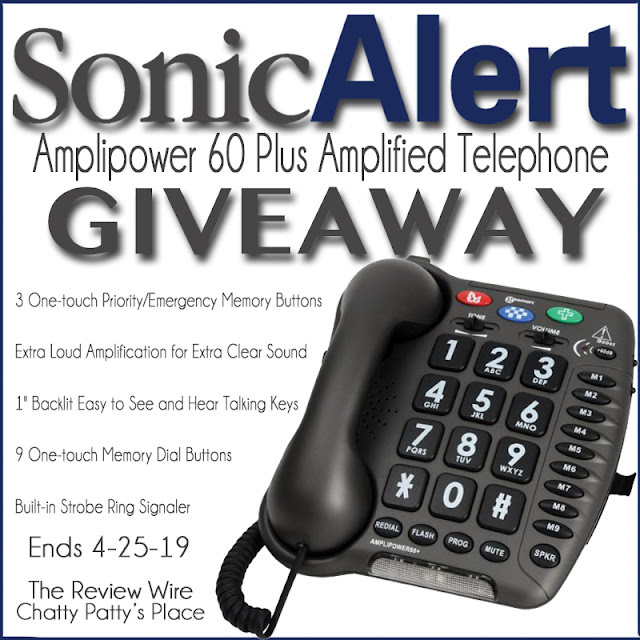 One reader will receive the AmpliPower 60+ Extra Loud Phone from Sonic Alert (RV $100). See below for terms and conditions. Open to U.S. residents of the 48 contiguous United States. You must be 18 years old to enter to win. This giveaway ends at 11:59 PM EST on 4.25.19.